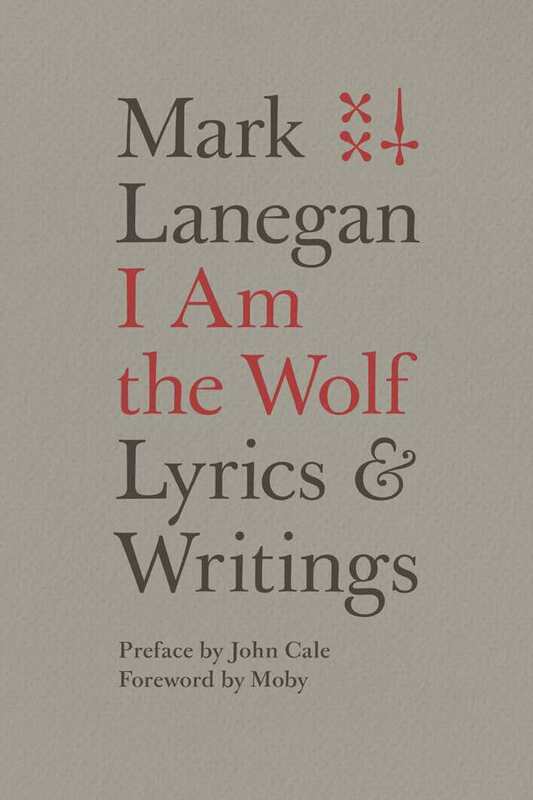 "I never thought I would actually play or write anything myself," admits Mark Lanegan, the ex-Screaming Trees vocalist, sometimes-Queens of the Stone Age member and solo singer-songwriter, at the start of his new book, I Am the Wolf: Lyrics & Writings. "Like most things in life I fell into it by accident." It's a fact made clear over 224 pages of lyrics from each of his solo albums and EPs (and even extras and collaborations) accompanied by bare bones explanations and anecdotes, told in as few paragraphs as possible that dot their introductions. Lanegan is a working man's lyricist, a no-frills songwriter who's lived a tough life filled with drugs, alcohol, failed relationships and dead-end jobs. Lyrically, he's economical to a fault, repeating lines and themes throughout (many of them, as he writes in his intro to solo debut The Winding Sheet, involving "a preoccupation with death as well an ever-pervasive sense of impending doom"). And that bleeds over into each of the album's introductions here, as he spends as little time as possible noting his collaborators, living situations, jobs painting weight loss reality TV shows sets, recording contracts he needed to honour and which songs would become future live staples. It suffices to say that Lanegan doesn't exactly let listeners into his world here. Instead — whether purposefully or not — he gives them just enough to get by in his often frank, sometimes funny manner.